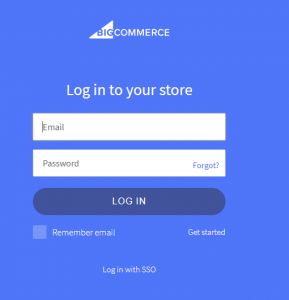 If you already have an account with BigCommerce, logging in is easy. All you need to do is type-in and enter your login credentials, which consist of an email address associated with the account and a password selected during the account’s initialization phase. You can also access your account using the help of a single sign-on system (SSO), if you’re registered with such a service. Should you forget your password, there’s no need to worry! BigCommerce makes password retrieval quick and easy! Simply hit the “Forgot?” option next to the password input field, and they’ll send password reset instructions to the email address associated with your BigCommerce page. Fast and Painless Logins – Do you hate having to remember a variety of different usernames and passwords? While that may be the reality of the user experience with other sites, BigCommerce strives for simplicity. Instead of hassling you for a new password at every corner, they allow you to access the Account Dashboard with the same login credentials you use for your store. A One-Stop-Shop for Managing All of Your Online Stores – Through the Accounts Dashboard, you can manage all of your stores without having to toggle between sites. This feature is invaluable for owners of multiple online locales. After all, they’re already busy enough managing their many companies – the last thing they need to do is lose valuable time jumping from site to site! Instead, BigCommerce allows its clients to choose which specific store’s profile they wish to work on directly from one centralized navigation panel. Automate your SSL Installation – Those who purchase their SSL through BigCommerce don’t have to go through the hassle of copying and pasting their certificates into their online store. Though copying and pasting certificates may seem like a minor inconvenience, when an owner has multiple stores, the small amount of time it would take to paste the certificates once quickly multiplies into a lengthy ordeal that cuts into valuable time that could be better allotted to other needs. 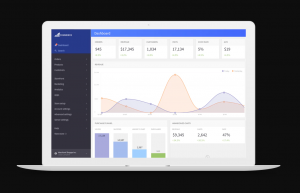 Handle Account Concerns from Dashboard – Without leaving the dashboard, store owners can open and pay their BigCommerce invoices, toggle between domains, access their support PIN, and ensure the accuracy of their account’s information. However, the uses of the Account Dashboard span far beyond the ones previously listed. 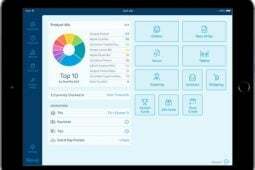 Users can use their dashboard for a variety of convenient functions such as changing their account password to make it different from the one used at their store or opening up a new store. Even transferring ownership of their company can be accomplished through the Account Dashboard. Best of all, should a customer find themselves confused about how to take advantage of the options proffered by the Account Dashboard, help is just a phone call away! Account services can be reached via phone on weekdays from 8 AM to 6 PM CST. 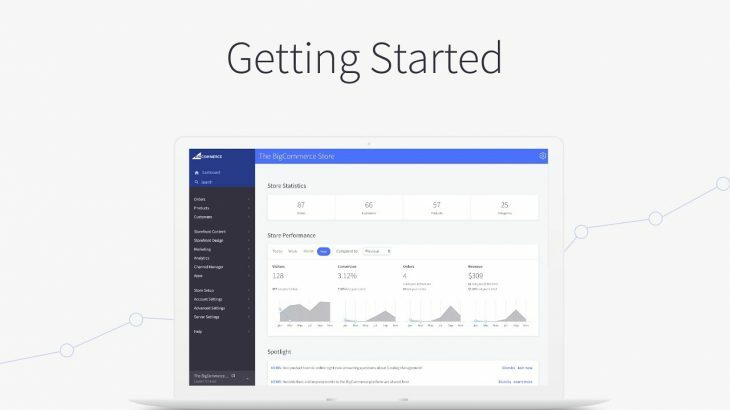 Signing up for a BigCommerce account is easy! So, how is it done? First things first – hop over to the BigCommerce web page and sign up for a free, no-risk 14 day trial by clicking on the link that says Start Your Free Trial. 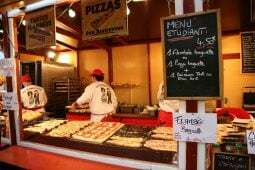 They’ll ask for some basic information such as your email address and a password of your choosing, and after providing these, your account will be ready to hit the web! You won’t have to submit any payment information until after the end of your assessment period, and after that, you can pay as little as $29.99 a month for an account. Once your initial setup is complete, you’ll be given a guided tour of your Account Dashboard. It’s best not to skip this tour, as it highlights the many valuable functions the Dashboard Account offers. Upon finishing your tour, you’ll be familiar with how BigCommerce handles things such as sales channels, order management, marketing, and more. Additionally, you’ll be given the necessary information for the contacting the support team in the event that you need more specialized assistance. After your guided tour, you can start diving into the fun parts of owning an online store – picking themes, adding logos and images, and listing your inventory! 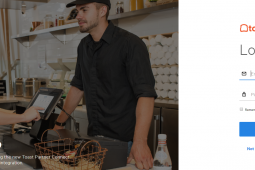 While both Shopify and BigCommerce are competitive platforms that offer top-of-the-line services for online merchants, we feel that BigCommerce is ultimately the better option for most store owners. 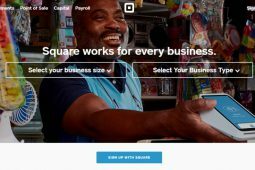 Starting with brass tacks – BigCommerce costs less! Not to mention, Shopify’s per-transaction fee of $.30 adds up quickly, and can be prohibitive for merchants selling items with a lower profit margin. Unless you use their proprietary payment method, Shopify Pay, you can count on losing a fair amount of revenue to these transaction fees. Additionally, BigCommerce is the global leader in SEO, which makes it easy for clients to find your goods and services. After all, no matter how well-designed your online store is, your business won’t blossom unless it’s nurtured by the right influx of customers. While Shopify prides itself on its support for multi-channel marketing, the reality of the matter is that unguided, poorly-targeted marketing across multiple platforms will not be as effective as advertisements that can successfully reach an audience that’s actively searching for their offerings. Finally, BigCommerce excels at taking client feedback and bringing it to life in glorious fashion. Recently, after customers requested that they streamline their design options, the company responded by creating a tool called Store Design. Store Design allows for onscreen editing of store layouts, sparing users the inconvenience of toggling between front and back end portions of the site during the setup of their storefront. While Shopify does offer a higher amount of sales features, we think that quantity doesn’t always equate to quality, and overall, BigCommerce is a sleeker, simpler, cheaper, and more effective option.